Sometimes, you just can't shake that craving for junk food. I'm a huge believer that once in awhile, you should just indulge a bit and enjoy, then go back to your usual healthy eating. Let's be realistic-we can't all be eating quinoa and kale all the time! If you're going to indulge in junk, you should at least make sure it's the best junk possible, and I don't mean the junk that's most full of the grossest ingredients you can find. Be a bit demanding and get high quality junk food! 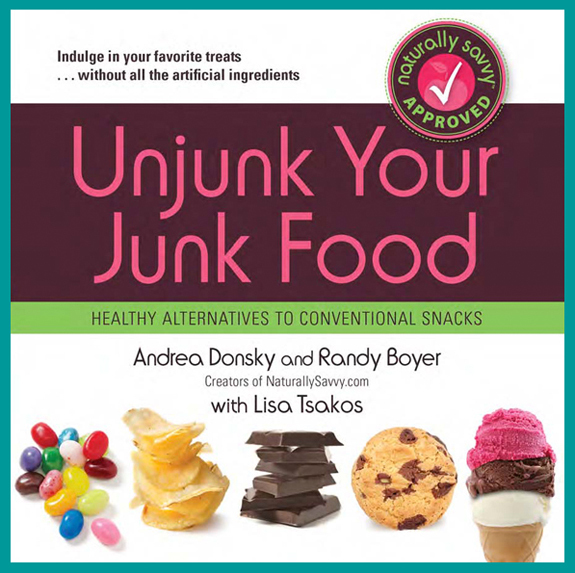 Unjunk Your Junk Food is a great resource for this. 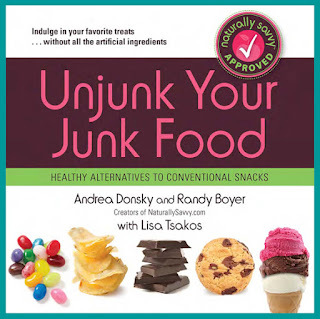 Packed with lots of information about undesireable ingredients, what to look for when you are reading labels, trivia, healthy eating tips, best of and worst of in common junk food categories, Unjunk Your Junk Food is an interesting read. With lots of tidbits spread throughout the pages, it's a handy little resource with all sorts of good information. The only drawback with this book, (yes-I could only find one) is that the products listed are in the USA. The ingredients may vary from country to country, so not every choice according to Unjunk may be valid for the same products in Canada. I would, however, find this very handy if we went on a road trip to the USA because now I'd know what treats would be the best choice after all. Despite this, the other information and trivia still stands and makes for an interesting read. I've learned a lot about various additives, preservatives and junk in my food in a quick and easy read! Surprisingly (at least to me), the book includes tips on how to curb your cravings for junk food and choose healthy snacks, shopping seasonally, and how much exercise will burn off those chocolate chip cookies. Knowledge is power! Unjunk is a good tool to deciphering the code of those food labels. Disclosure: I wasn't paid to write this review, but I was sent a copy of Unjunk to read.